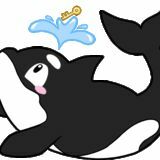 DIVISION 37 West's MONTHLY NEWSLETTER, The Orca Observer! A MESSAGE FROM YOUR Lt. GOVERNOR AND MARCH ISSUE EDITOR Aloha Orcas! My name is Antony Lin, and I am beyond honored to be serving Division 37 West as its 2019-2020 Lieutenant Governor! I have a multitude of ideas and plans for this division, and I hope all of you will help contribute to our unified division as much as I do. This year, I hope to improve communication between the clubs and division leadership as well as engage more members in division activities, especially as summer looms on the horizon. I know this will be a difficult task, so I ask of all of you: please help me help you. With that, I'm signing off, but never forget that all of you are the pride and joy of this division! DIVISION 37 West's KILLER SERVICE, Always a Job Whale Done! end to a wonderful year, and our members spared no ounce of gratitude toward the Lieutenant Governors. The IP and current Lieutenant Governors from Divisions 21, 37 West, 37 South, 37 East, and 37 North pose (pictured from left to right), wondering when the next term will begin. CONNECTED TO Division 37 West! THANK YOU FOR READING THE ORCA OBSERVER! Come read the first issue of Lt. Governor Antony Lin's new term, and learn more about what happened in the month of March with D37W!